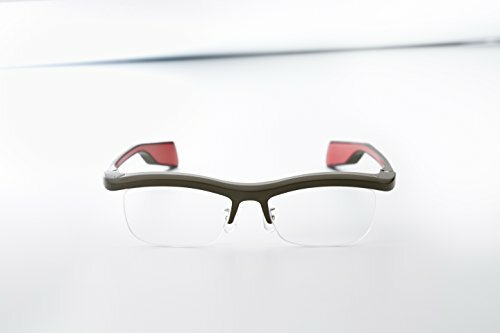 We're excited to introduce our unique digital spectacles / eyewear, FUN'IKI Glasses. You will feel liberated when you know you just received a message or a schedule reminder without needing to constantly check your smartphone.. FUN'IKI Glasses are linked to your smartphone, and their multicolored LED lights + sound signals from their micro speaker will notify you of numerous information without you ever taking any acton. No more hassle of checking your smartphone every single minute and they look cool. We believe that FUN'IKI Glasses will be a part of your daily life in the most seamless way. In standard application with smartphone ① Incoming phone call ② Mail receiving ③ SNS reception ④ Schedule notification ⑤ Notify application notification with light and sound (Customize light and sound). Available as a party item with light gradation function. Control atmosphere goggles according to music using MIDI / OSC control. If you have any questions about this product by Namae-Megane Inc., contact us by completing and submitting the form below. If you are looking for a specif part number, please include it with your message.